Hot and cold beverages alike, are perfect in porcelain 5 inch cups. One of a kind tumblers inspire conversation, contemplation or a smile. 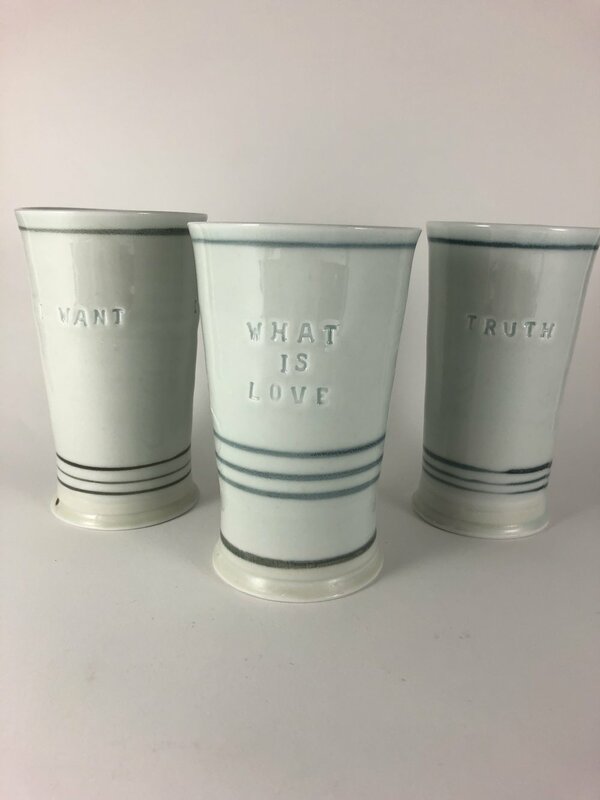 Designed for comfort and pleasure in the hand, these cups feel satisfying to the touch and certainly make any drink tastier! Inspired by yoga, poetry, the ocean, and relationship, these cups add beauty to the table.